Within Teamwork Projects, you can archive projects you are no longer working on. Note: Archived projects do not count towards your active projects limit for your subscription, but will still count in your storage usage. 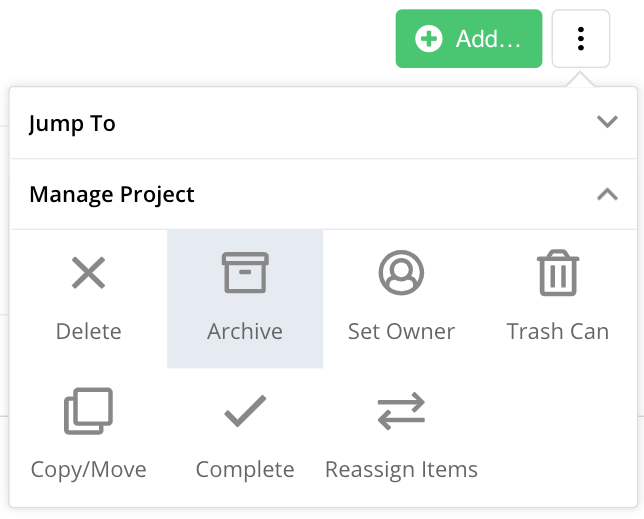 To archive any project, go to the Overview section of the project you want to archive. 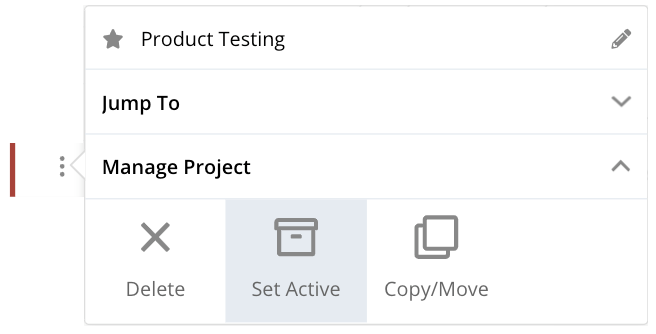 Select the options button (three dots) to the top right and select the Manage Project tab. You can then choose Archive from the menu items. You can also archive directly from the Projects area of your site. From the list of projects, select the three dots to the left of the project you want to archive. 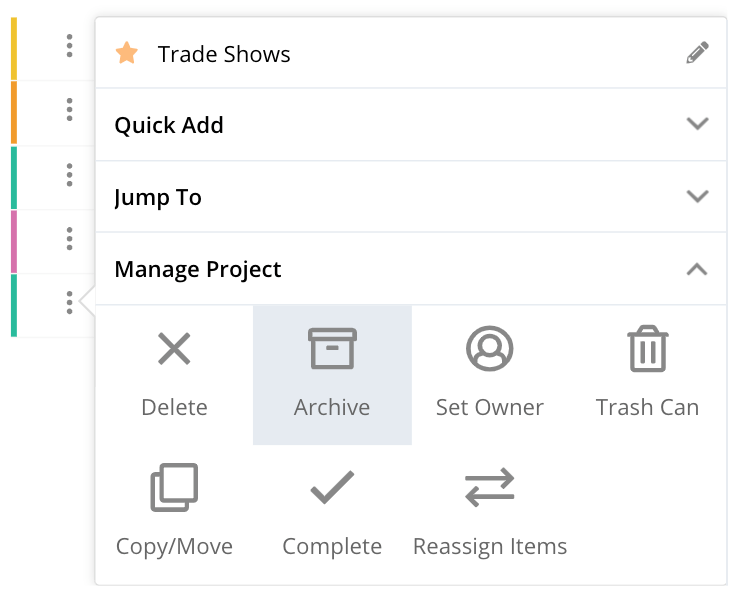 From there, go to the Manage Project tab and choose Archive. Projects that have been archived will be read only - this means you can't make changes or edit any of the project's items without first reactivating the project. However, you can copy an archived project. Any items in archived projects will no longer show up in the lists or reports from the Everything area. You can find a list of all your archived projects in the Archived section of the main Projects tab. 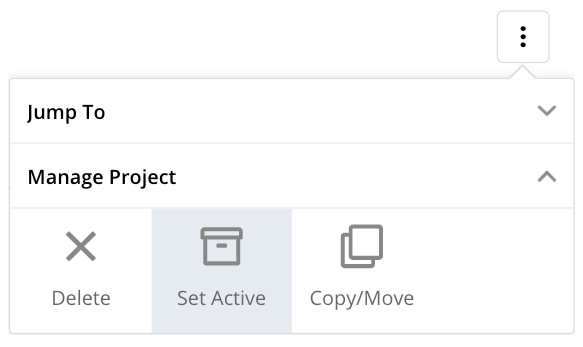 You can click the three dots to the left of any archived project, and choose Set Active from the Manage Project tab. You can also set a project active by clicking Set Project Active when looking at an archived project. Finally, you can set an archived project as active from the Overview section by clicking the options button (three dots) to the top right.